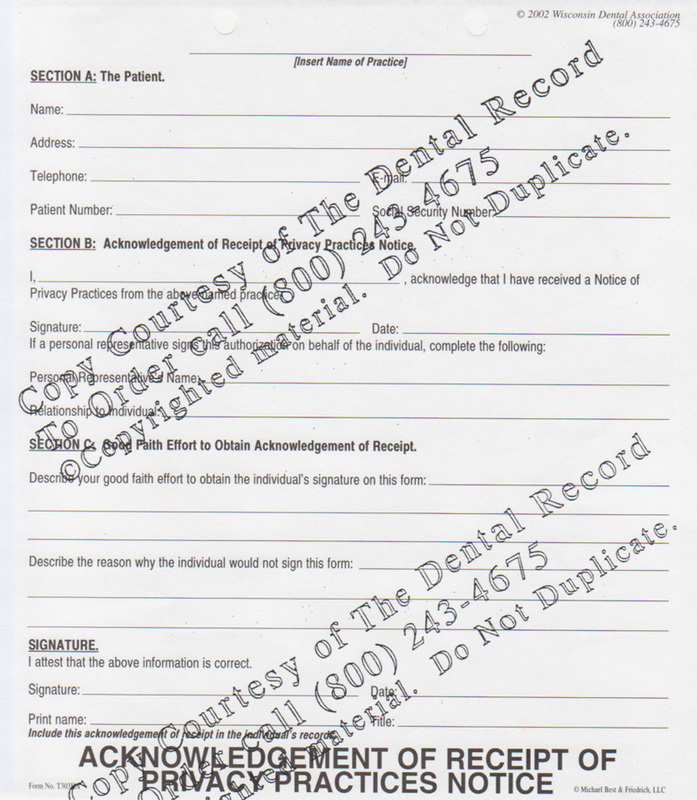 The patient can sign the Acknowledgement of Receipt of Privacy Practices Notice to document that they were informed about your HIPAA privacy protection policy. 100 forms per tablet. The Acknowledgement of Receipt of Privacy Notice is given to each patient along with the Notice of Privacy Practices form. 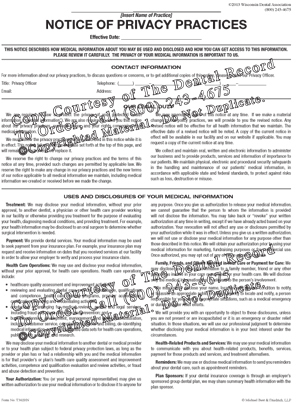 After reviewing your Notice of Privacy Practices, this form documents your patients acknowledgement of HIPAA mandated laws. 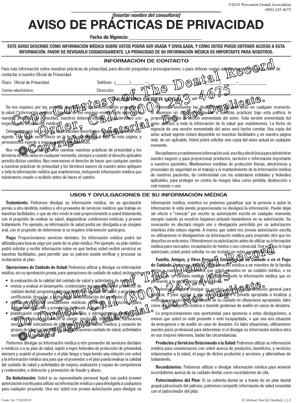 The acknowledgement must be signed by the patient or their representative to prove that they did in fact receive the Notice.